The five beers that make up Pale Trial Ein are more different than I expected. Time hasn’t softened them into a similar flavour. Rather the opposite. The difference is more pronounced after a couple months conditioning. A couple Sundays ago Chas was over for a brewing day and we did a side-by-side review of all five. All five come from the same base. There is a clear dark stone fruit flavour up front. Solid amber malt in the middle. Then finishes with a sharp bitterness with the malt background. The descriptions below are slightly exaggerated to highlight the differences. The “control” of the beers. With the modern yeast nutrient only. Aroma is of dark fruit and still subtle. Body is straight forward. The bitterness comes in quite sharply at the end. It is the most aggressive with hop bitterness. Bitter beer. This one was with same yeast nutrient and a Campden tablet. The softest flavours of the lot. Hop fruit flavours at the start. A nice easy amber malt body. Not very bitter at all… until the very end and there’s a kick. And that really kills the softness. This is the one with the really old yeast nutrient only. A much lighter beer than all the others. Light and fresh hop aroma. Lighter amounts of stone fruit up front. Body is a bit easier and laid back. The hops at the back are quite lighter and there is a subtle creaminess. This is the one with a Campden tablet only. Very soft aroma. Starts with a solid stone fruit flavour, but not overpowering. There’s a mellow and big dark-ish fruit flavour. There’s a bit of bitter end to this which works quite well to offset the stone fruit flavours. This is the one with the really old yeast nutrient and a Campden tablet. Light and smooth rich aroma which is very nice. Starts off very smooth indeed, then the big fruit comes in and works a treat. Darker than beer #2, #3 and #4. Towards the end there’s smooth finish with a hint of bitterness working well with the body. If I was to match these beers to something it would be a salty or spicy roast meat. Maybe barbecued. Or something fried with spice. You need something to work with the big bitter hops in the beer. It’s a tough choice between #3 and #5 for best beer. Winner is #5 . Runner up is #3, in third place comes #4, forth is #2 and clearly in last place is #1. It might seam like a wide range in flavours from the reviews above, and it does feel like that when they’re side by side. If you pick up a #1 or #5 first off, you still taste the same thing, stone fruit hops with amber malt. Then the bitterness takes over. I think there was too much hops. Victoria Secret hops have a big kick which I’ve see it in my all grain and here in the Pale Trial Ein series. Does this make these bad beers? No. But there’s room for improvement. And I’ll work on that. It has been a really interesting journey with these beers. They’re the end of a mini story of finding my Dad’s old wine brewing equipment, cleaning, brewing, bottling and finally tasting. But the journey doesn’t end. The Pale Trial Zwie beers are ready for drinking. Will need to get into them and write up a review. 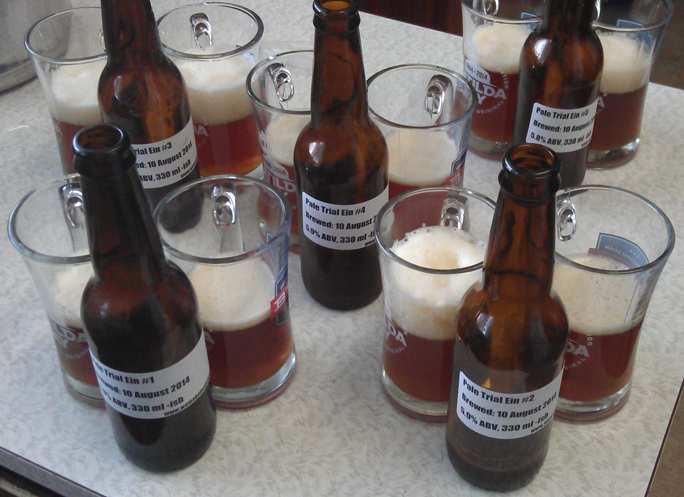 Sunday week ago (31st) was a bottling and brewing day at my place. 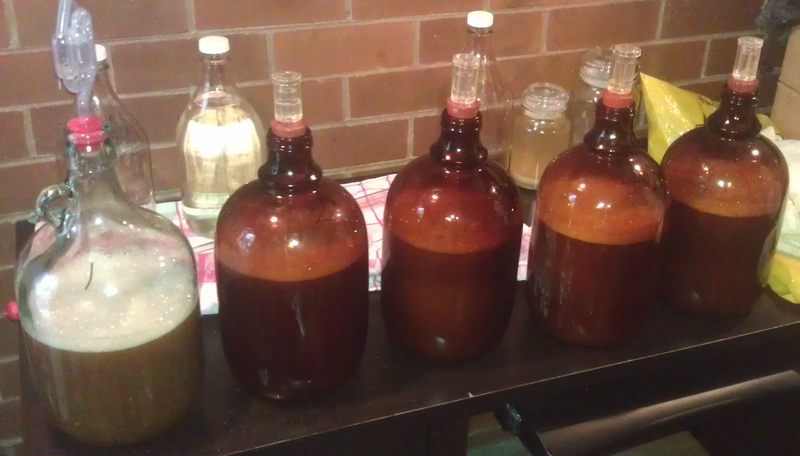 The five carboys of the Pale Trial Ein were ready for bottling and Pale Trial Zwei needed to be brewed. And Chas was there for it all. Was great to have Chas back after a bit of a break. Bit of craziness and some well oiled processes made the day run smooth. Or as smooth as possible. Will talk about the brew in another post because there’s a lot to talk about with the Pale Trial Ein. This is the pale ale that I brewed three weeks back. Used some of the equipment and ingredients I got from my Dad. 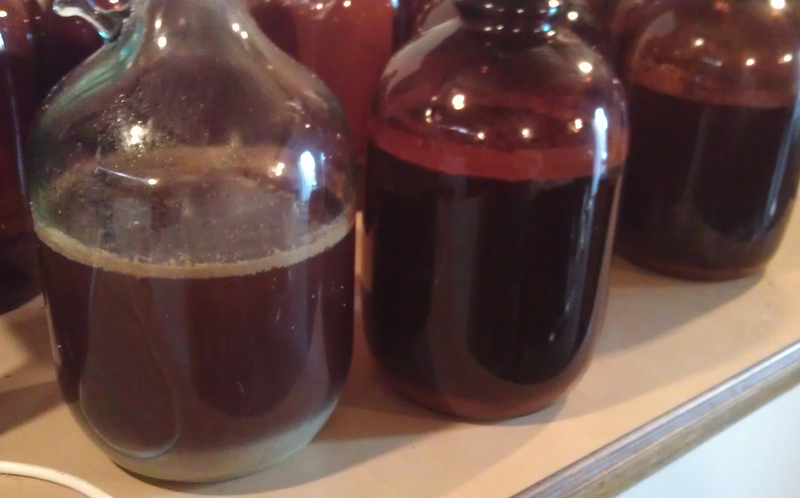 As there were five carboys of pale ale, and I wanted to keep them separate, we didn’t bother with bulk priming. But we did get to finally use the Easy Siphon I bought a few months back. Once we got it working it worked a treat. 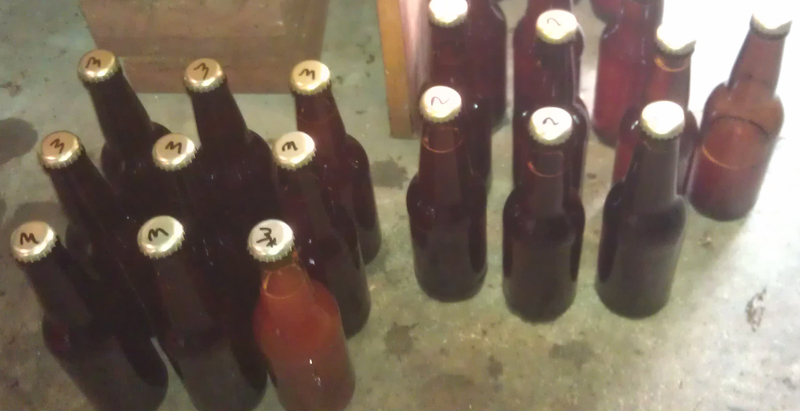 The bottling process was slowed down by needing to prime each bottle. That was made harder when I ran out of carbonation drops and had to measure out sugar. Uhg. Needing to take five gravity samples didn’t help. Comparing the Pale Trial Ein beers was interesting. The first thing is the different colours. Wow. How is that possible? But there you go, same batch in five different carboys with only a couple minor differences in ingredients can make a big change. It was clear that those with the Campden tablets (2, 3 & 5) were darker. But the normal yeast nutrient (1 & 2) was also slightly darker than the newly acquired stuff (4 & 5). And the one with just the tablet (4) is the darkest. And the flavours, too. Side by side comparison of yeast nutrient was clear. The stuff I normally use (1 & 2) had more smooth full hop flavour up front, but a really bad bitter and metallic taste at the back. The newly acquired (4 & 5) was softer and less hop fruit flavour but rounder and mellow overall with no harsh kick. When comparing the Campden tablet ones (2, 3 & 5) to non-Campden tablets (1 & 4) it’s clear. The ones with the tablets have a richer hop fruit flavour. And the one with only the Campden tablet (4) is a fair bit dryer from up front to end. Have to say that the newly acquired nutrient and Campden tablet (5) was the best one. After that, normal yeast nutrient and Campden tablet (2). Then newly acquired yeast nutrient (3). Then just Campden tablet (4). And lastly just the old yeast nutrient (1). And finally, the gravity readings. They pretty much all came in at 1.014 which isn’t really a surprise. 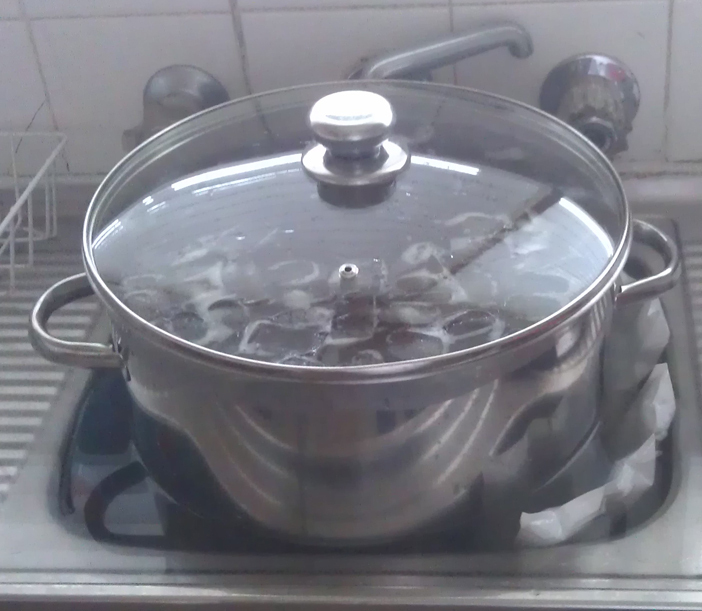 The one with just newly acquired yeast nutrient (3 & 5) came it at 1.015. The beers will end up at 5.8%-5.9% alcohol after conditioning in the bottles. I do hope the bitterness settles down a bit. To summarise, Campden tablets are awsome. And the really old yeast nutrient is better than the stuff I’ve been using. Go figure. Next post from me will be the write up on the brew.